And the good news is, meatless meatballs can taste just as delicious and are even healthier than their meaty counterparts. 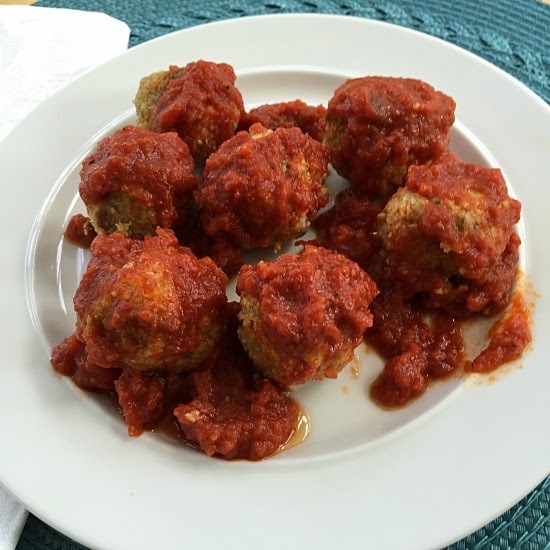 Plus, this "Meatless Meatball" recipe which is gluten and soy free is simple and takes roughly no longer than 45 minutes for total prep and cook time. These are hearty and filling vegetarian "meatballs" with just the right amount of spice. Serve these up with an ample amount of either marinara sauce or pesto, on their own or on a bed of pasta.These make great leftovers (they taste even better a few hours later). Preheat oven to 375 degrees. Prepare a parchment-lined cookie sheet. In a large skillet over medium heat, heat oil. Add onion, mushrooms and garlic and sauté until onions are golden, about 10 minutes. In a food processor, combine remaining ingredients and process until almost smooth. Add onion/mushroom/garlic mixture and process until combined. Using a small melon ball scooper or tablespoon, scoop out mounds of mixture, roll into balls, and place on cookie sheet. Bake for 30 to 35 minutes until tops are browned. Serve immediately. Leftovers maybe frozen or stored in refrigerator for 3 days. Note: If you want to make a "meatloaf" out of this recipe, simply pour the mixture into a greased loaf pan and bake for 30 minutes on 350 degrees. Then pour your favorite barbecue sauce on top. Delicious!